Application Portfolio Management allows you to optimize and invest in the applications that are best serving the business, while eliminating and consolidating those that are slowing it down. Removal and consolidation of applications that complicate business practices will free the business of obstacles and inefficiencies, reduce costs and complexity and ultimately increase the availability of your IT resources. 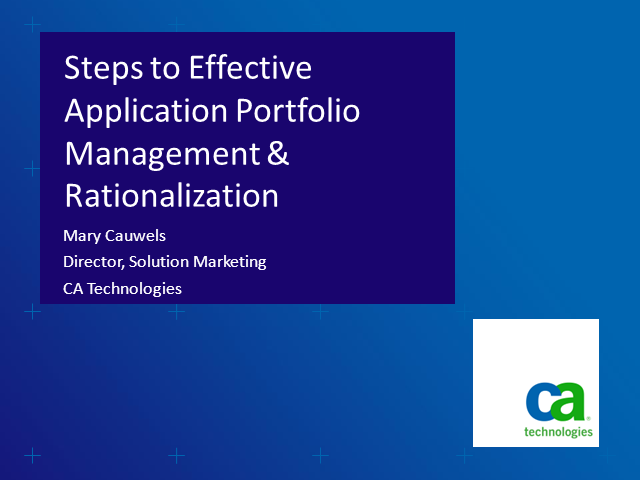 Join this webcast to learn which steps you can take to jump start the process of application portfolio definition, evaluation and rationalization.